Vinegar is a product of fermentation. This is a process in which sugars in a food are broken down by bacteria and yeast. In the first stage of fermentation, the sugars are turned into alcohol. Then, if the alcohol ferments further, you get vinegar. The word comes from the French, meaning ‘sour wine’. While vinegar can be made from all sorts of things – such as many fruits, vegetables, and grains — Apple Cider Vinegar comes from pulverised apples. 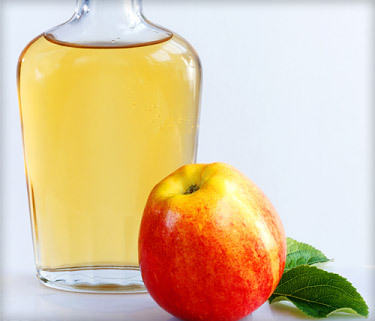 The main ingredient of apple cider vinegar, or any vinegar, is acetic acid. However, vinegars also have other acids, vitamins, mineral salts and amino acids. In ancient Greece, around 400 BC, Hippocrates, who is considered the Father of modern Medicine, prescribed apple cider vinegar mixed with honey for a variety of ailments, including coughs and colds. Apple cider vinegar is also a great natural disinfectant for most kitchen surfaces and glassware, mirrors, windows, etc.